As the world’s population continues to grow and, consumption increases and so does the use of water. With this social expansion, the divide between rich and poor has never been greater, as we do not have equal access to this precious life-giving resource. For the world’s poor who may not have access to clean water, this is a potentially life-changing problem. Belong looks at why humanity is facing a global water crisis and what we can do to stop the taps running dry? Should Clean Water be a Human Right? An astonishing 844 million people, that’s one in nine of the planet’s population, lack access to clean, affordable water. 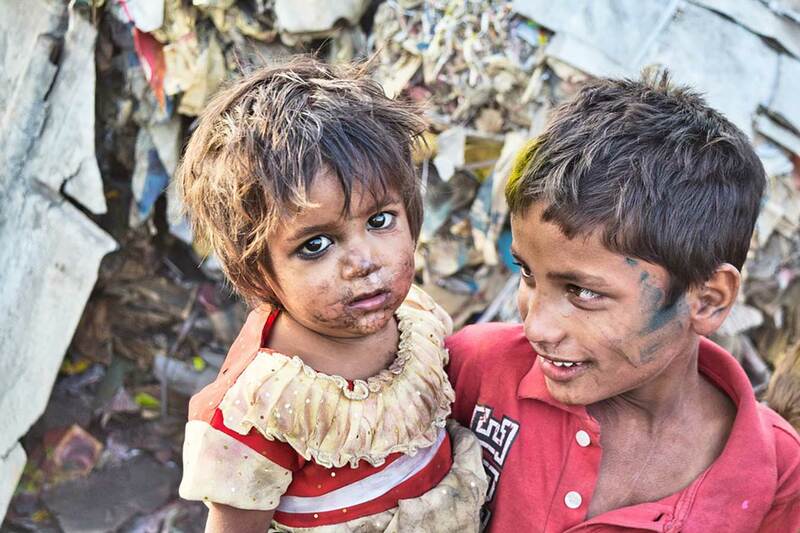 As a result, every year nearly 300,000 children under five die of diseases because of dirty water. As well as the obvious health implications of dirty water, there are also social consequences. Children in developing countries without access to water are bullied at school and sometimes won’t go to school at all because they are unable to wash regularly. As water becomes scarcer, it will result in increased conflict and there have already been numerous disputes over water. In 2014, over 1,000 people were killed in Nigeria in clashes between farmers and herders over water shortages, and in 2017 70 people were killed in Darfur, Southern Sudan over freshwater sources. These are just two of the many disputes erupting because of water shortages. The situation is so serious that by 2040, the global demand for freshwater resources will exceed availability, according to a report on Global Water Security by the USA’s National Insurance Council. 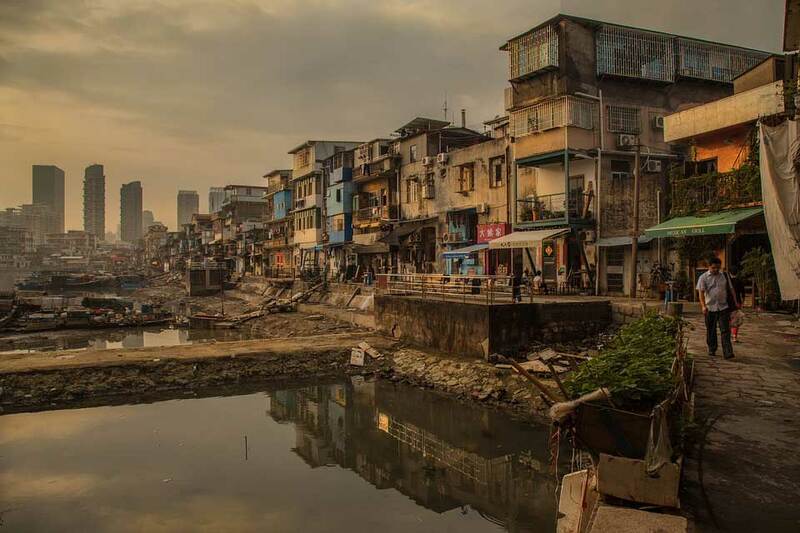 The situation is worse for “the urban poor living in slum communities who are most at risk because their access to water and sanitation is already stressed,” Abbie Wells from Practical Action, an NGO that fights global poverty, told Belong. Bringing clean water to every person in the world is one of the UN’s 15 Development Goals, which it wants to implement by 2030. But it won’t be easy. 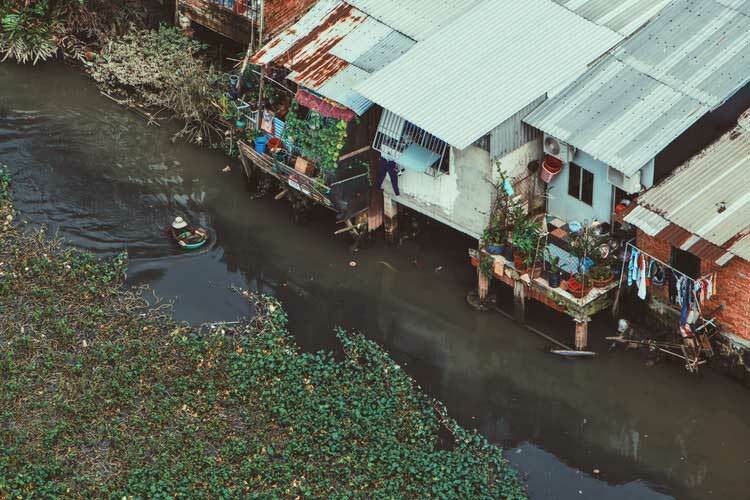 “Achieving universal access to safe and affordable drinking water by 2030 presents a huge challenge for all countries, not just those with low incomes,” John Garret, from WaterAid, an international NGO, told Belong. Besides saving lives, providing clean water to those who need it would also free up economic resources. Reports on exactly how much it would cost to provide clean water for all varies depending on whom you speak to. “Estimates from the World Bank suggest that US$114 billion a year will be required for developing countries, three to four times current levels of financing,” said Garret. That’s a lot less than has been made available so far, but the World Bank Estimates that the benefits of this would be $60 billion a year. How Can Clean Water for All Be Achieved? If we are to bring water to everyone, then we must reduce the amount of water we use. An array of manufactured goods, such as steel, or even a pair of jeans, require vast amounts of water. In countries, which are water stressed, this reliance on a diminishing supply of water can be damaging to the long-term sustainability of water resources. We also need to be more careful about what crops we grow. For example, farmers in Peru grow asparagus for export in the Ica Valley, an area with just 2.5 cm of rain a year. Yet asparagus is one of the thirstiest vegetables there is, requiring 2,000 litres of water per kilogram. Cotton is another hugely thirsty crop and it requires up to 22,500 litres of water per kilogram yet is often grown in areas of the world where water is in deficit, such as India and Pakistan. There also needs to be more successful water management on an international level. At the moment there is no global governance of water and water is often poorly managed on a local level only. As global citizens, we need to think if it is desirable or ethical to increase the cost of water scarce as it is. We also need to decide if privatising water is the right way forward or if water would be better in public ownership. Charging more for water for those who can afford it is also something that might be considered, “richer people need more incentives to use water efficiently and the price could be a factor in that,” said Wells. Belong takes a look around the world at some of the areas which are seeing the most serious water crisis to try and answer these questions. India uses more groundwater than any other country. 54% of India’s groundwater aquifers are decreasing and therefore unless something is done, in twenty years’ time 60% of India’s aquifers will be in a critical condition. In the Punjab in the north of India, 73% of water comes from underground wells and boreholes, which have been decreasing since 1979. Groundwater is a lifeline for most Indian farmers and when wells dry up that means they must leave the land and get a job elsewhere. Others can’t see a way out, with suicide rates among farmers in India astonishingly high. The situation is made worse by the fact that there is still no regulation of groundwater in India. Underneath the great plains, the breadbasket of America, lies the largest underground aquifer in the Western hemisphere. The Ogallala Aquifer stretches from South Dakota in the North to Texas in the South and has collected water from the Rocky Mountains for millennia. Now, in some areas like western Kansas, it is just a few years from running dry because of decades of water over-extraction for irrigation. In some places, the groundwater has disappeared entirely, and pumps can no longer access water. Recharge of the aquifer is slow, about half an inch a year, so the only way to resolve the impending crisis is for all the farming community to work together to use less water, and this can only be done through federal regulation that is properly enforced. In California, the situation is even worse and has passed a point never seen before in history. Even if it rained for two years straight, groundwater would not recharge, and they would still have the same problem. Farmers there say the recent drought has put a magnifying glass on a problem that has been brewing for years. The situation began to reach a tipping point in the 1990s after a massive increase in the number of vineyards under cultivation; leading to many domestic wells on small farms running dry. And because California lies on clay, the drop in the water table has caused the silty clay soil to compact, which has led to massive subsistence in the Central Valley. Some areas of California have sunk by 28 feet since the 1920s. The Ica valley lies between the Andes Mountains and the desert and despite being one of the driest places on earth and receiving just 2.5 mm of rain a year, is used for intensive agriculture. Crops are fed through irrigation from the Ica-Villacurí aquifer, but there also wells are running dry and salt water is seeping into the groundwater. Well drilling was prohibited by law, though unenforced, meaning there are many illegal wells. Larger farmers with more buying power are more likely to have a more reliable supply of water. This has led to conflict and social exclusion. The district of Ocucaje saw violence when a large agribusiness company installed a pipe from a well to irrigate land it owned some distance away, effectively siphoning off scarce water from locals. In 2004, a British company took control of the water supply in the Tanzanian capital Dar es Salam after promising to solve the city’s water crisis. Although the water table is high in Dar es Salam, there is no proper sewerage system so the water from wells is not safe to drink unless it is boiled first. Only the houses of the relatively affluent are connected to the mains, so everybody else buys it from water sellers who transport it all around the city. Their taps are strictly controlled and locked overnight. Citing years of inefficiency, the government and the World Bank decided to partially privatise water. “Because of years of socialist orientation and inefficiency in general, the government and the World Bank felt that bringing in the private sector would be useful. The plan was to start with Dar es Salam, and if it worked extend it to other cities in the country,” Atto Brown, from the World Bank, told Channel 4. At the time, the UK Blair Government was putting up millions of pounds through the foreign aid budget to support privatisation programs in the developing world. They even funded a pop song in Tanzania to try and sell the privatisation to the people. As a result, a British company Biwater formed a joint venture with the Tanzanian government called City Water to provide water in Dar es Salam. The British knew that despite the risks, the potential profit was high. Biwater describes itself as ‘the perfect water company’ but the reality in Dar es Salam was very different. The rich, including all the top hotels, did not run short of water, but the supply to the cities working households became more and more erratic. Before City Water started providing services, Christina, who works in one of Dar es Salam’s top hotels, received water at home for three full days, but after City Water took over, the taps only came on for a few hours after midnight; and some weeks they never came on at all. As the taps went dry, the bills went up. Christina’s monthly bill doubled to £12, a quarter of her monthly salary. So, she decided to buy water from her neighbours instead. When City Water came around to cut off Christina’s water, they also took away her taps and filled her pipes with concrete. They said, to make sure she didn’t illegally try to reconnect her supply. Months later she was still being sent bills for water she could never have used. Biwater claim that price increases were necessary and insist that while some people might have received less water, most saw marked improvements in their supply. But the water sellers, who take water all around Dar es Salam, disagree. They say that when City Water took over, business was boomed because many people who had water before, started not to get water. Business was so good, they said, they couldn’t serve people fast enough. After 18-months the Tanzanian government became disillusioned. “They want to maximise their profits, simple. And we needed the water situation in Dar es Salam to improve badly, people had been going without water for quite a while, they [Biwater] let us down badly,” the former Prime Minister of Tanzania told Channel 4. Despite overwhelming evidence to the contrary, Biwater insists that the quantity and quality of water under its stewardship increased, citing independent auditors. However, the Tanzanian government says that the independent report they commissioned from the multinational consultancy firm PWC was damaging and concluded Biwater failed to deliver. Negotiations between the Tanzanian government and Biwater broke down, the government withdrew from the contract and senior British staff were told to leave the country. Biwater then took the Tanzanian government to court, sued for damages and lost the case. The Biwater scandal is not unique, as other developing world countries have experienced similar negative experiences after privatisation. In Detroit, Michigan people have also fought for their right for access to clean water. Betty lives in the richest country in the world but had to fetch water two or three times a day. In 2014 Betty was caring for her husband who had Alzheimer’s and got behind on her water bills when he fell sick and she had to pay for his treatment. When Betty fell behind on her water bills, she was cut off and she became one of hundreds of thousands of Detroit residents without water, as the city pushed to make the water board more profitable. In one year, the Detroit Water and Sewerage Department cut off the water supplies at 40,752 separate addresses across the city. “I wouldn’t wish this on anybody, to try and live without water. I don’t care if you have gas and lights or whatever, but water is a necessity for everybody,” Betty said. Maureen from the Michigan Welfare Rights Organisation represents people in Detroit who have been deprived of water. “There are too many cases and now we have another example of a human being with a disabled husband who for two years has been living without water. You can’t call yourself part of the greatest nation in the world,” she told Channel 4. At that time in Detroit, a household was getting their water cut off every three minutes. Activists and unions in Detroit blamed this aggressive water cut off policy on the city’s mayor and the director of his water department, Thames Water North America, a subsidiary of the British company, Thames Water. Unions and activists say the cut offs and running down strategy were in-fact part of a deliberate policy to force the Detroit water board into private ownership. If water is in private hands, then politicians can escape the blame for a poor service. A United Nations investigation denounced the water cut off of low-income residents in Detroit as a human rights violation. Abbie Wells from Practical Action told Belong that privatisation can work if it has the proper regulation and oversight. “In our experience, the key is not whether a company is privately run or not, but the extent of government oversight and as well as consideration for the voices from poor communities,” she said. Ethiopia hit the world’s headlines 24 years ago, when famine killed 1.2 million people and Rockstar Bob Geldof set up Band Aid followed by Live Aid, which raised $150 million for famine relief. The commonly held belief at the time was that the famine was caused by a two-year drought and while this is partly true, severe land degradation and water mismanagement were also important factors in the death toll. 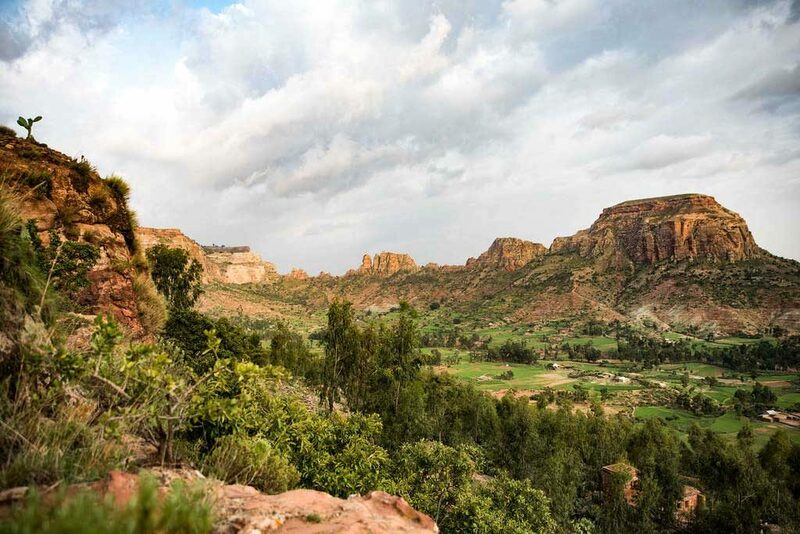 Land degradation and water mismanagement is a centuries old problem in Ethiopia, and it caused widespread soil erosion and led to the virtual death of the many northern regions of the country as young people migrated to the cities in search of work. 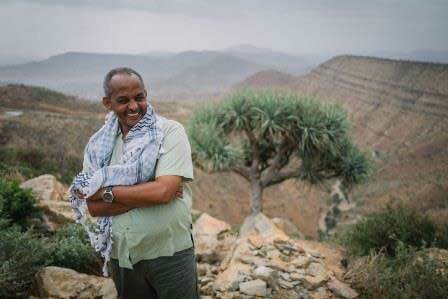 But over the last two decades, the semi-arid region of Tigray in the north of Ethiopia has restored and transformed its landscape in a painstaking and complex process of land and water management. A huge number of drought-resistant trees were planted on the steep hillsides, and so-called Gabions, mesh cages filled with rocks, were built and placed at intervals on the slopes to slow rainwater coursing down the mountain when it does rain. As a result, the earth retains water and the underground aquifer is recharged. 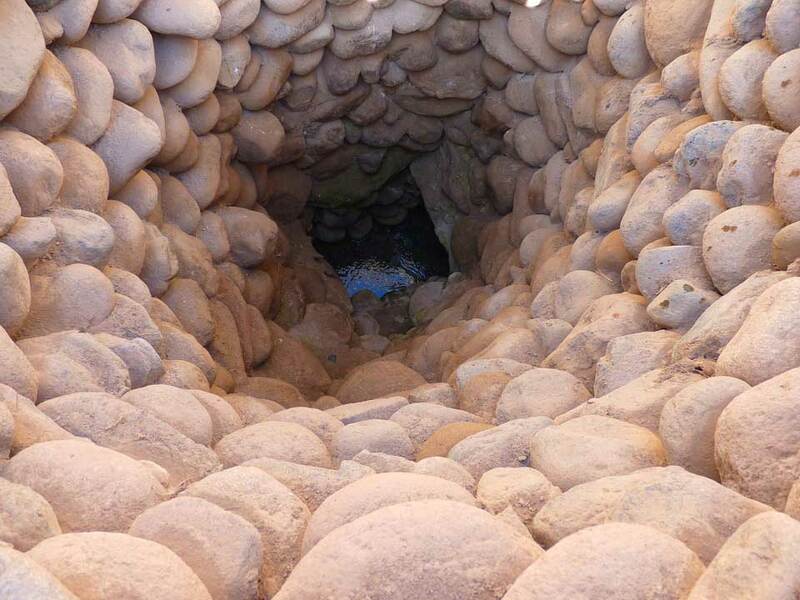 Wells in the valley are dug by hand and are just a meter deep. Crucially the whole community has consented to ban cattle grazing in most areas Instead locals keep bees and cultivate the valleys using small scale irrigation. In between plots, drought-resistant grasses have been planted. And as a result of these measures, young people, instead of leaving the area, are staying to work and look after the land. The project has had international and national support, but it shows what can be done when the political will is there. 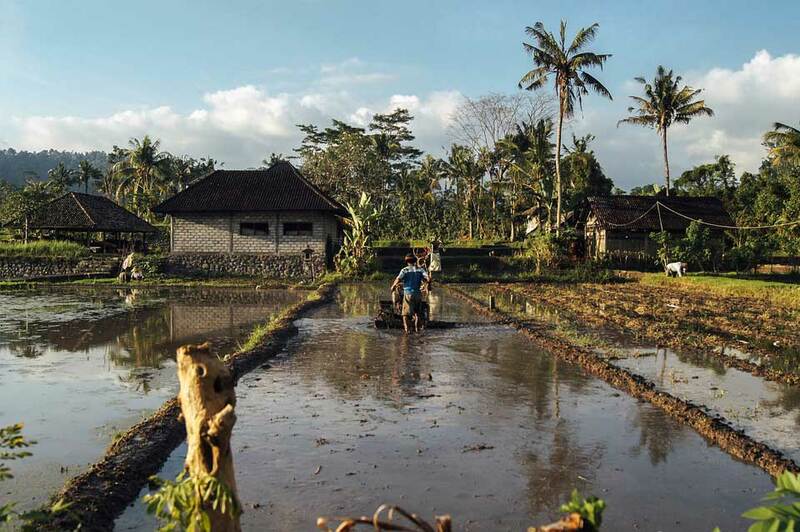 These traditional methods can be used in any country to manage water more effectively. Even in areas where rainfall is much higher than northern Ethiopia, we can all do much more to save water. In the UK three billion litres a day is wasted through leaks, and the UK Environment Agency has warned that the South East of England will be facing water shortages in a few years, if nothing is done. Irrigation can be highly inefficient, but some forms such as drip irrigation, which delivers water to the roots of each plant is less so. Plant varieties that are more resistant to drought can be used, as can genetically modified plants to cope with dry weather. “Other things that can be done are to switch to less thirsty crops, but this requires attention to changing the incentives for farmers not to grow things like sugarcane and rice. They need to have a market for their products,” said Garret. But most importantly a global system of managing and distributing this precious resource must be introduced. Water must be managed in some way. Underground aquifers do not pay any attention to borders between countries or between landlords and farmers, as in Ethiopia communities must work together so that everyone has enough water. As a global community, we, regardless of social status need to work together on this fight to save water before we are faced with real issues.